Last year I qualified to race in the USA Triathlon National Championships. I don’t. I mean, not really. And, I’m sure I didn’t know what it would take to ride at this competitive level; I do now. You don’t ONLY learn to ride a bike from reading about it. You don’t ONLY learn by watching a video. Me? I learned by falling; I remember crashing. A lot. In fact, I broke my left arm on my bike. Years later, I crashed in a race and suffered incredible road-rash down the right side of my body. How did I become a master of my bike? I read. I watch videos. I practice. AND, I have two coaches. 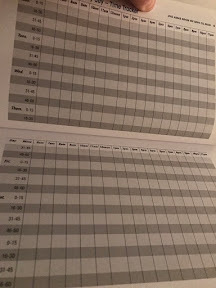 One writes up the workouts I need to do to continue competing. The other teaches me to be a better bike handler. Did I say, I practice? A lot. Consciously, deliberately and constantly, I practice. Look in the mirror today to tell yourself that 25% of 2017 is gone. You have 266 days (that's just about 6400 hours) until 2018. Do you want to get more from your time? Do you want to get more things done? Now is the time to “look in the mirror” and CALL OUT your CURRENT time management strategies as not enough! You can learn to improve how you manage your time. You COULD read another article. You COULD watch a video. You COULD wish you had more time. Or, you can seek Mastery. I’m here to help. Take the self-assessment here and schedule a 15-minute coaching call. I’ll meet with you, if you’ll meet with me. This month - April - Get Momentum members worldwide are learning Advanced Time Management techniques. We've established a significant goal: To free up 15-60 minutes each day. Now, truth is "freeing up" time isn't the hard part; deciding what to do with the newfound time is. When it's time to sit down and focus/work on ONE project, how do you set yourself up to stay on the "Focus Line"?